Meet our executive staff member, Nicola Els, Commercial Strategist for Africa. I started working at Striata in 2008. I then took a 5 year hiatus and have since rejoined the company in a different role. Prior to working at Striata I was involved in software development for a well known property website. My focus has always been on the client and customer facing side of digital technologies. It is where my passion lies and returning to Striata has enabled me to re-engage with that passion and strength. Striata has changed in leaps and bounds, although I have found that certain core strengths and fundamentals have remained the same. We have a much stronger global presence and our capabilities have grown with the organization. Through this growth and change, the culture has remained in tact and for me, that is the fundamental ingredient for successful growth. The culture and unwavering belief in quality software and systems. We are able to achieve amazing customer results on execution and adoption. I believe these results are underpinned by the aforementioned constants. We have a strong and dedicated leadership team who have driven the success of the business over many years. Striata understands and has embraced the digital world in its products and in its way of working. It incorporates cutting edge security and embraces a remote working environment that is truly globally inclusive. I am 100% electronic and receive around 90% of my bills as an email attachment. I have a monthly cell phone and rates bill which requires me to logon to a portal to view. I also log onto portals to review (very) old statements that I may have deleted from my email. If there is, it’s not reaching me! Seamless engagement with customers. The ability to measure that engagement and tweak the experience and functionality to meet the needs of the customer. Digital’s measurability and other data collection, provides the opportunity for a truly personalized customer experience. Isn’t that what it’s all about – meeting the exact needs of people? In a big way. Digital is currently at the core of all industry change. On a personal level I believe I will feel it most in how I deal with my finances, followed by my transport and how my children are educated. There will be a lot more automation and a need to focus more on security measures, as digital weaves its way into everything a business does. On a less positive note, I think we will see much more redundancy in the workplace due to these automations. I also believe disinter-mediation of large corporations and traditional industries like banking, insurance and business services will quickly escalate over the next 5 years. I think the next generation is fully integrated in the digital experience, so my opinion may be a little different. I think the lesson to be learned is the continued value of physical human interaction. Stay away from social media – it’s addictive. We stream all of our screen entertainment e.g. Netflix. We run high speed fibre and plan to install smart home features within the next year. 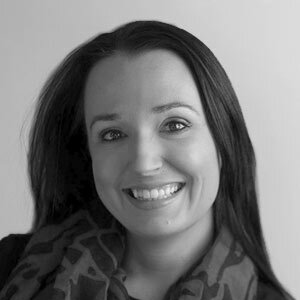 Nicola is Commercial Strategist for Striata South Africa, focused on assisting leading brands in SA and Africa with their digital communication strategies. Nicola began her career working for a property related IT company. In 2008, she became Head of eBilling for Striata SA and was promoted into the role of Commercial Director. Nicola has since gained significant experience in the banking sector, as Head of Commercialize for Absa Digital Channels and Barclays Africa, followed by a position with Standard Bank, where her focus was on building socially integrated customer banking channels. Nicola also has a number of years’ experience in consulting within the digital space, helping startups and small business grow their digital assets. Nicola’s professional certifications and licenses include a Bachelor of Arts (English and Law) and an LLB from the University of Johannesburg.